M&P can make custom Kynar Machined Parts to your specifications or drawings. 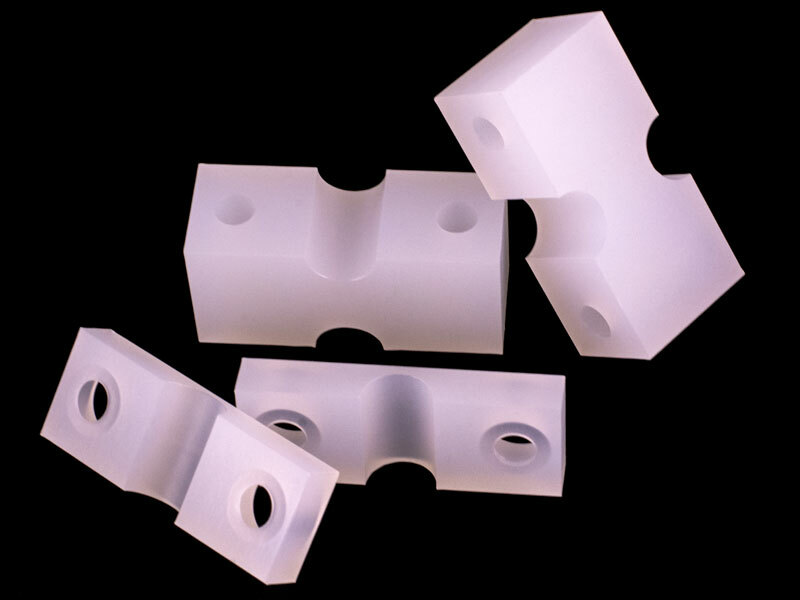 We have a plastic machine shop; Kynar® is one of the plastics we can use to make parts. Kynar® polyvinylidene fluoride, the homopolymer of 1, 1-di-fluoro-ethene (VF2), is a tough, engineering thermoplastic that offers a unique balance of properties. It has the characteristic stability of fluoropolymers when exposed to harsh thermal, chemical, and ultraviolet environments, while the alternating CH2 and CF2 groups along the polymer chain provide a unique polarity that influence its solubility and electric properties. Kynar® resins are readily melt-processed by standard methods of extrusion and injection compression molding. At elevated temperatures, Kynar® PVDF can be dissolved in polar solvents such as organic esters and amines. This selective solubility is an advantage in the preparation of corrosion resistant coatings for chemical process equipment and long-life architectural finishes on building panels. Kynar® Machined Parts are made in a completely controlled environment. Kynar O-rings, Kynar Seats, Kynar Bushings, Kynar Bearings, Kynar Guide Blocks, Kynar Wear Pads, Kynar Washers.